Just Julie B's Stampin' Space: Cheerful Critter for a Challenge! This is the card I made for this month's Card Challenge over at Craft Project Central's Creating Pretty Cards. 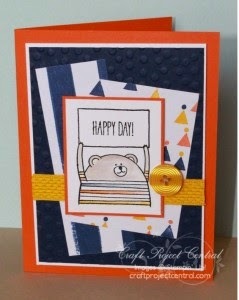 I think the set lends itself to some cute creations for kids' cards - and even for kids' at heart! 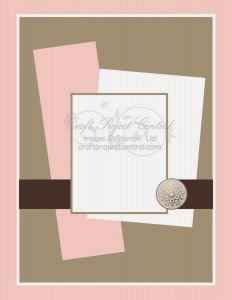 I also used the Birthday Bash Designer Series Papers to help guide my color choices. - Great papers that you'll only be able to get through the end of this month! So here's the Sketch for this month - and it was created by ME!! :) I hope you'll hop on over the Craft Project Central and join in on the Challenge this month! You have a chance to win a FREE subscription to Craft Project Central.